The Patel Conservatory theater department is excited to introduce new classes geared toward homeschool students this spring. New classes have been added for preschoolers through 12th grade, including Young Theater Arts, Theater 1 and American Musical Theater. Classes are offered side by side, so that siblings of varying ages can all participate at the same time. “This is a unique opportunity for homeschool students to expand their academic experience through the corporate learning offered by participating in the performing arts”, said Theater Department Chair Suzanne Livesay. Classes start the week of Jan. 12, 2015. New students are encouraged to attend our upcoming open house on Jan. 3 or Jan. 6 to get an overview of all our Conservatory programs, policies and procedures. Engaging instructors will lead students through samples of movement, pantomime, clowning, storytelling, improvisation and theater games. This action-packed class will help students build confidence and enthusiasm about the theater arts. The cost is $180. Through this 18-week course, students will explore basic performance and technical theatrical studies with the goal of preparing, staging and presenting a classroom showcase of a one act play. Open to students in grades 2-12, students will be divided into age and skill-appropriate work groups. The cost is $180. This 18-week course offers students an overview of musical theater from the historical and performance perspectives. Students will explore examples of American Musical Theater pieces, and various musical, theatrical and dance styles from throughout the 20th century. 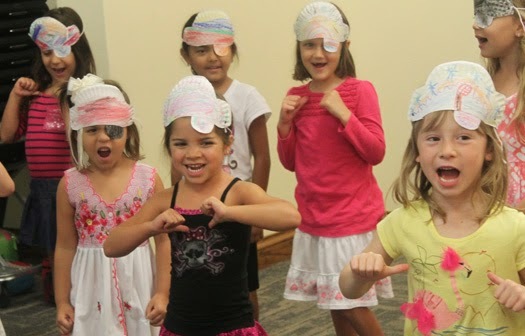 This performance-based class culminates in a classroom showcase performance. Open to students in grades 2-12, students will be divided into age and skill-appropriate work groups. The cost is $180. For more information, or to register, call 813.222.1002.